How can DNA help solve a murder mystery? 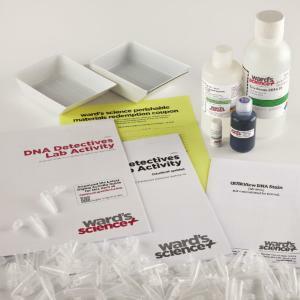 In this lab activity, students will use restriction enzymes to digest the DNA of four suspects in a criminal investigation and separate the DNA samples using agarose gel electrophoresis. Once they have completed the DNA analysis, they will compare the banding patterns for each suspect's DNA to a sample found at the crime scene in an attempt to find the true criminal. While performing this lab activity, students will employ NGSS Life Science Disciplinary Core Ideas LS1 (Structures and Processes) and LS3 (Heredity). This kit has been aligned with all published National Standards. Pre- and Post-laboratory assessments and vocabulary words all target specific Science and Engineering Practices and common core standards. The teacher guide also contains specific "Did You Know" concepts that link the real world with scientific standards explored. 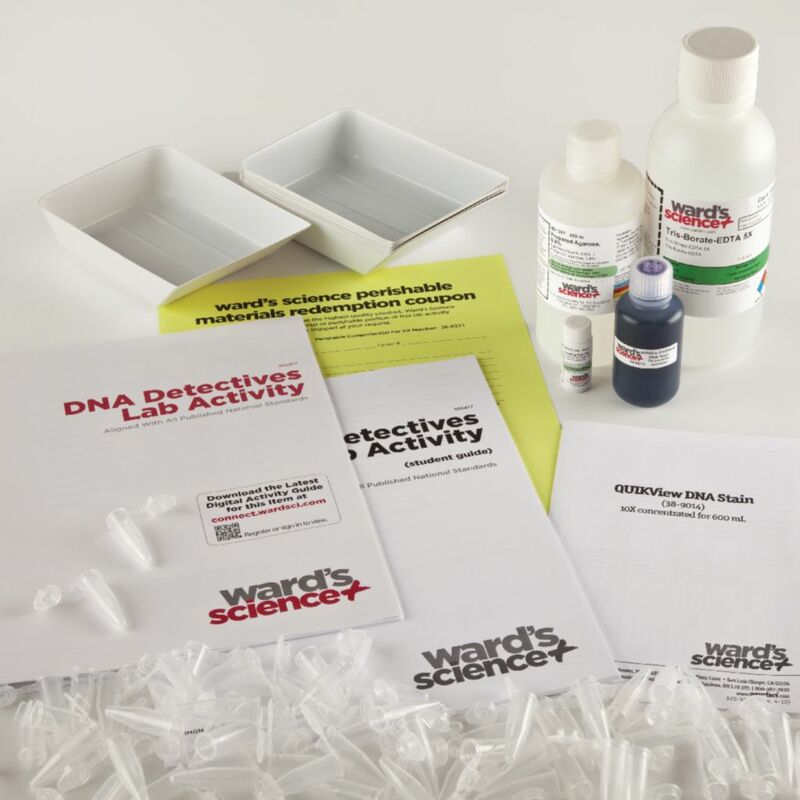 Ordering information: Activity contents include 0.8% Agarose, 5X TBE running buffer, Ward’s® QUIKView DNA stain concentrate, microfuge tubes, gel staining trays, vial of loading dye, and a coupon for 1 Lambda DNA/Hind III marker, DNA samples (Crime scene, Suspect samples), Pvu II restriction enzymes, and Pvu II reaction buffer 10X. Materials required but not provided are Electrophoresis chamber, power supply, micropipets, permanent marker, and distilled water. Coupon is included for redemption of perishable materials. Redeem by mail, phone, fax, or email.